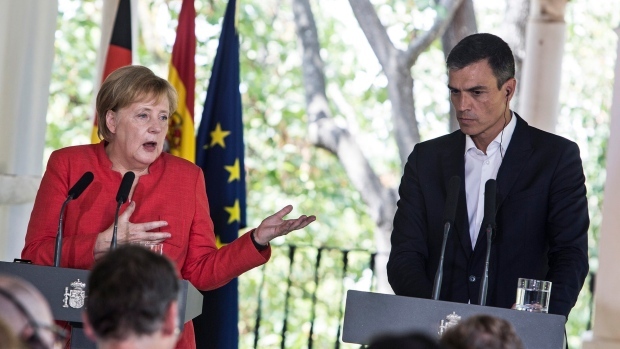 BARCELONA, Spain -- The leaders of Germany and Spain on Saturday promoted a shared approach to immigration into the European Union amid growing populist opposition in other EU nations to taking in more asylum-seekers. As part of that effort, Sanchez asked Merkel for greater financial co-operation from the EU to assist Morocco and Tunisia with migrant control programs. The International Organization for Migration says almost 24,000 refugees and other migrants have arrived in Spain by sea this year -- nearly triple last year's number. At least 1,500 other migrants have died so far this year in the dangerous Mediterranean crossing.